Over the last several blog posts we’ve been on a TREC to discover the elements of highly effective and happy teams. The reason I use the word “happy” here is because this is the highest level of Aristotle’s four levels of Happiness. Being a part of a highly effective team will provide some of your greatest moments of happiness. Building a great team in a complex organization during difficult times is an arduous journey. We have spent several posts unpacking our understanding of the complex issues of Truth. Highly effective teams can share the “truth,” but the concept of truth can become very complex. Believe that every member of the team has a Valid Perception of the issue. Building trust is part of the long, arduous journey. It requires humility, development, focus, commitment, compassion, integrity, peacemaking and endurance. Without these elements in place with each member of the team, you’ll never be able to build the trust required to tell the truth to each other. You must talk about these elements. You must hold each other accountable. It’s the first step required to make it through an arduous journey of building great teams. The second step in TAPPING into the underlying issues of building a great team based on Truth is Beliefs and Assumptions. A team at MIT developed the concept of Triple Loop Learning. Unless you start with understand everyone’s beliefs and assumptions, you can’t provide useful systems, processes, procedures, policies, to guide and direct complex organizations on their arduous journey. Beliefs and Assumptions will always win the day over systems. They’ll win the day either overtly or covertly. And usually, the covert path is the chosen. Therefore, if your systems, processes, procedures, policies don’t seem to be solving your problems, you haven’t brought all the Beliefs and Assumptions to the surface. They are covertly sabotaging your efforts. We each have different perceptions. Perceptions are modified by events and experiences over time. If you, as a team leader or a team member assume that you have the “truth” and don’t realize that you have one of many perceptions, just like everyone else, an effective team will never materialize. 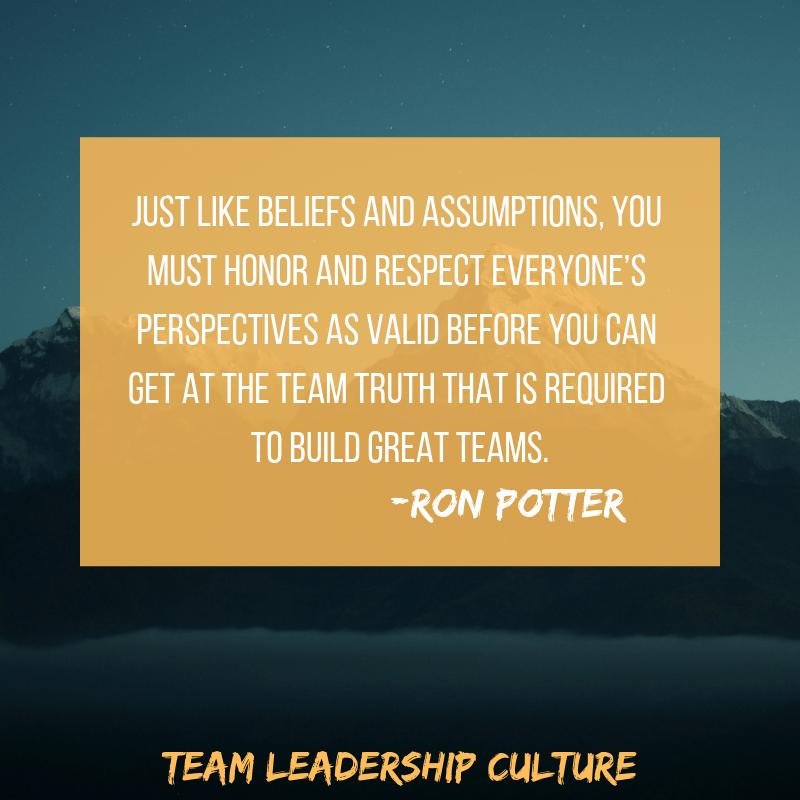 Just like Beliefs and Assumptions, you must honor and respect everyone’s perspectives as valid before you can get at the Team Truth that is required to build great teams. To experience the sweetness of wonderful maple syrup, you must TAP into the trunk of the tree. Oak trees have deep TAP roots to withstand the ravages of nature. Whatever analogy you want to use, you must TAP into the core of your team to build the foundation of Truth. We’ve been introducing and preparing ourselves to walk through the elements that make great teams. The first of these is Truth. Great teams can tell each other the truth. But Truth needs some special understanding. In the last post, we talked about building the trust required to share the truth. In this post, we’ll talk about how our beliefs and assumptions shape our truth. Years ago, Peter Senge wrote a book titled The Fifth Discipline that was a deep book but had a profound effect on the corporate world. This book about systems thinking was based on work by Gregory Bateson and extended by Chris Argyris and Peter Senge. It known as Systems Thinking or Learning Organizations. I had never seen a concept penetrate the halls of corporations as much as these ideas. It seemed that I couldn’t walk into any of my client companies without them wanting to show me how they were adapting system thinking or becoming a learning organization or both. It was an amazing tidal wave. But much of this impact was related with the second loop of what Senge and company referred to as triple loop learning. In brief, let me describe the three loops. The first loop says that you do some work, you observe the results. If you’re not satisfied, you put in a fix, and you do the work again. I’ve seen this first loop referred to as “Following the Rules” or “Are we doing the right thing.” I started to think of it as a “do loop” from my early computer days. We would talk about a computer program that was hung up as being in a “do loop.” That meant the program was running in circles and couldn’t get out. The first loop of triple loop learning is much like that do loop. Do some work, check the results, put in a fix, do some work, check the results, put in a fix, etc. Senge and team began to talk about the second loop as a longer, more sustainable loop. In this loop that wanted you to think about an issue as not needing a fix but as part of an entire system. Check your policies, procedures, systems, and processes to see what is directing the work. If you put the proper system in place that guides the work you’ll get better, more sustainable results. But it required system redesigns and re-engineering. These are the words that my clients were using. They wanted to show me their re-engineering work and their systems redesign and the improved results. And indeed, they were getting improved results. But maybe not the best results possible. The third loop of triple-loop learning was required. Unfortunately, I didn’t see many of my clients looking at the third loop. Why? The third loop examines the team’s Beliefs and Assumptions about an issue before the redesign or re-engineering takes place. If your personal beliefs don’t agree with the redesigned system, beliefs will override or ignore the system. If the system was redesigned based on an issue or observation that doesn’t match your assumptions, there is no true belief that the new system will produce the desired results. Beliefs and Assumptions rule the day! Senge and company believed that by fully sharing and understanding Beliefs and Assumptions you would improve the quality of thinking and interactions and in doing so would experience more sustainable improvements. They also believed this would not be a one-time fix but would result in continued improvement of thinking, interactions, and results. Now you would become a Learning Organization. Sharing of Beliefs and Assumptions is the second part of building a high-quality team that provides the highest level of happiness for the team members. But, this is a muscle or discipline that develops through training just like going to the gym to improve any part of your body. I’m assuming here that you’ve successfully created an atmosphere of trust that will allow for the sharing of Beliefs and Assumptions. But, the first time you engage a new muscle group the results are painful. And the rest of the body must adapt to the higher performing muscle group before all of the pain and awkwardness ceases. The first time teams practice sharing Beliefs and Assumptions there is hesitancy, holding back, embarrassing moments and even shock and disbelief from others on the team as you get used to sharing at this deep level. But even with this first awkward attempt, teams find that the solution they reach as a team is often better than most past experiences. And, as teams get better at this level of sharing at the beginning of problem-solving, it becomes almost addictive. 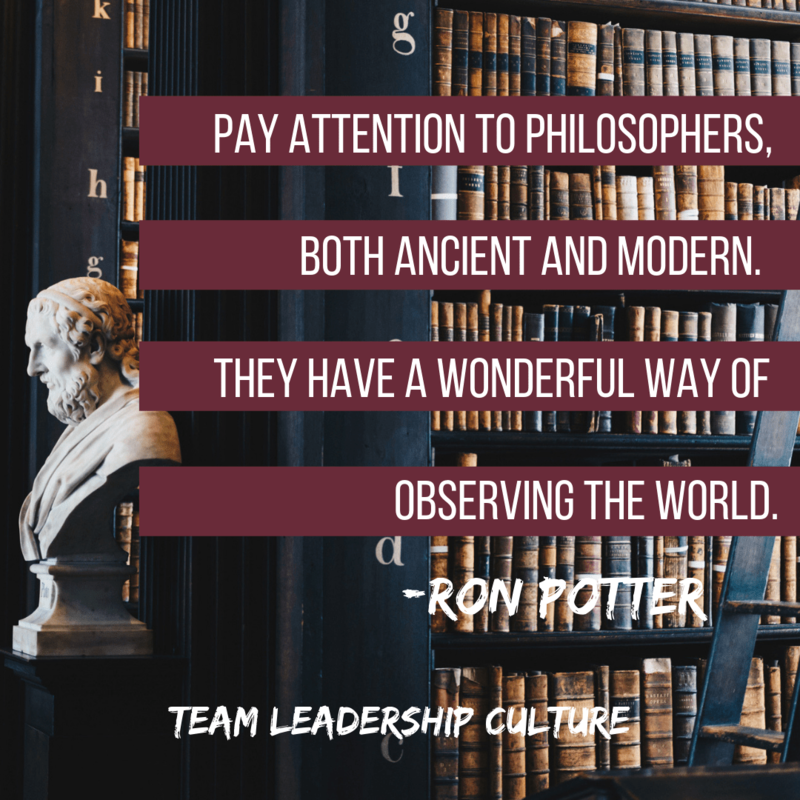 If you’ve become comfortable with starting the process by sharing Beliefs and Assumptions, and then you walk into a team that has not developed this same muscle, you can hardly stand to face the amateur approach to problem-solving. That becomes painful. Develop the Beliefs and Assumptions muscle. You’ll become a much more Truthful team, and you’ll become a powerful problem-solving team. And that will make you happy. For the next few Monday posts, I want to provide some snapshots into what makes up organizational integrity. To have a great organization, integrity must be widespread. It won’t do to be a saintly leader of highest integrity if the rest of the team consists of liars, backbiters, and thieves. Integrity must exist from top to bottom. There are some key qualities that need to be modeled by leadership in order for an organization to embrace integrity. Last week we started with Vulnerability. This week we explore self-disclosure. 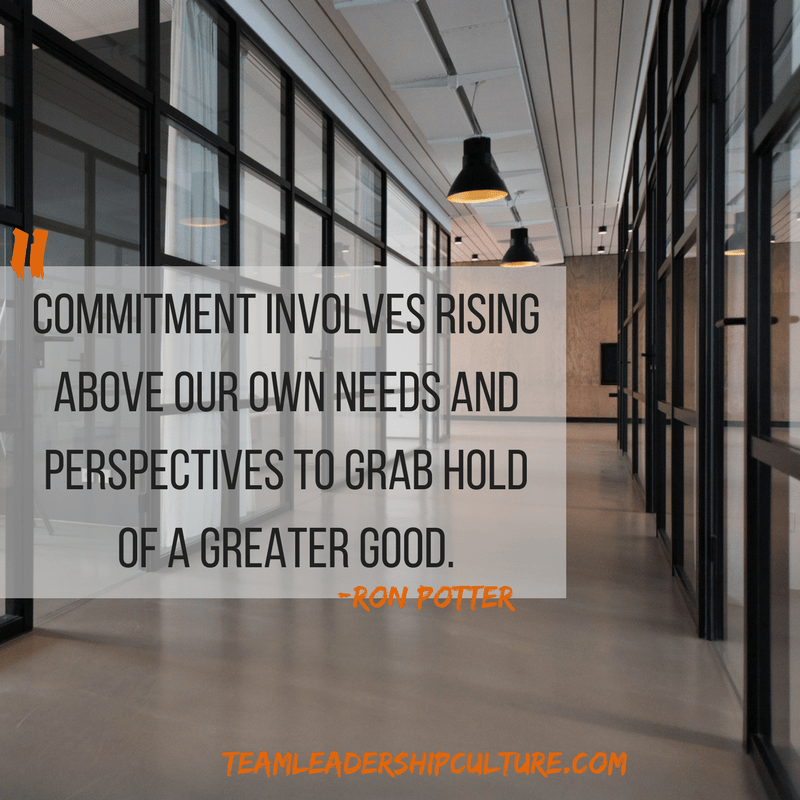 Leaders need to be the first to share what they stand for, what they value, what they want, what they hope for, and what they are willing to do in order to get where they want to go. Self-disclosing leaders also need to be willing to risk trusting and being open with others if they want people’s trust and openness in return. The only way to receive others’ trust is to first trust others yourself. Self-disclosure is risky for a leader. However, most people will appreciate the openness and will buy into a leader’s plans, vision, dreams, and actions more easily than if a leader is walled off. Leaders need to be willing to risk trusting and being open with others if they want people’s trust and openness in return. This week we’ll start with Vulnerability. A leader who is approachable, available, and open to other ideas, thoughts, and even criticism has learned to be a humble person and further develops his or her integrity. Executives often overlook the power of vulnerability. They confuse vulnerability with being weak. Too often, and for whatever reason (fear, circumstances, office politics, and so on), leaders build walls around themselves. They add one brick at a time until one day they become walled off from their people and their peers. The walls give them protection, but at the same time, the walls hide them from the harsh realities that confront every leader and keep them from communicating effectively. They are insulated and protected, but they are also cut off from others. Behind the walls, they can control and be hidden from failure. Behind the walls, they do not need to trust others or be vulnerable. Gates, instead of walls, give others access to leaders, which enables leaders to demonstrate that they are trustworthy, open, and humble. Gates also allow leaders to share their visions and values with others. Open gates allow leaders to be vulnerable, to let go, and to trust others, which in turn builds others’ trust in their leaders. really wants to hear from me—to know what I think and what’s really going on. He must be committed to making things work!” And so Lincoln was. Once a leader takes this step of vulnerability, others will give back, and an effective team can be built on interpersonal integrity. People are hungry to be led and will gravitate toward leaders who have a clearly communicated vision. Knowing “why we do these things around here” helps put management’s expectations for individuals and teams into a meaningful context. In order to implement a communicated vision, leaders need to encourage clear buy-in from the people. This requires moving beyond communication to collaboration. The goal is to develop a supportive environment and bring along other people with differing talents and abilities. It also means that when the followers truly understand the vision, the leader needs to step aside and let them do the work to “produce” the vision. The leader needs to give them the authority and responsibility to do the work necessary in order to bring his or her vision to fruition. I witnessed a meeting recently in which the leader brought together a crossfunctional group to brainstorm some marketing campaign ideas for the company. People from different departments assembled and were led through a planned exercise on corporate marketing focus for the following year. The best idea came from a person far removed from the marketing department. She quite innocently blurted out just the right direction and even suggested a great theme for the entire campaign. If the leaders of this organization had simply called together the “marketing types,” they would have missed a tremendous idea. Or if the leader had done the work alone and not opened it up to input from others, he might not have secured the necessary buy-in from the staff to implement the project. Studies show that when people understand the values and are part of the vision and decision-making process, they can better handle conflicting demands of work and higher levels of stress. People want the best in themselves called out. They will rally around a communicated vision and work hard to support it. 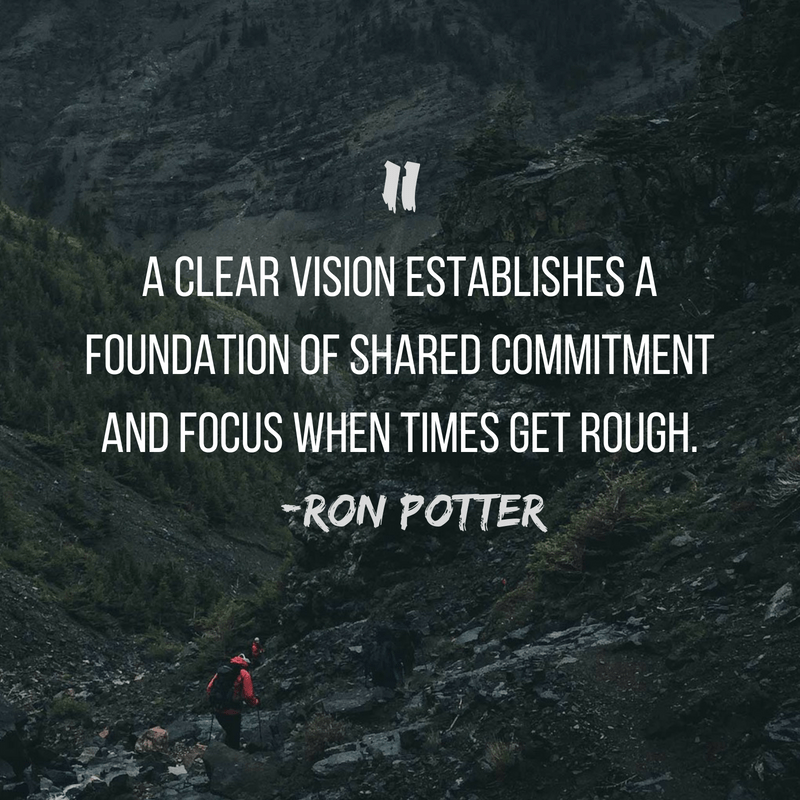 The vision also establishes a foundation of shared commitment and focus if and when times get rough. We recently discussed leaders motivated by passion. Along with passion, a desire to achieve motivates a leader to a higher level of focus. I have concluded that leaders with an achievement-motivated style (balanced by humility) have the most constructive approach to work. Typically, they do not waste time on projects or matters outside their vision. They determine what is important, that “something great,” and they seek to achieve it. For more than twenty years, David C. McClelland and his associates at Harvard University studied people who had the urge to achieve. McClelland’s research led him to believe that the need for achievement is a distinct human motive that can be distinguished from other needs. [His experiment involved asking participants] to throw rings over a peg from any distance they chose. Most people tended to throw at random—now close, now far away; but individuals with a high need for achievement seemed carefully to measure where they were most likely to get a sense of mastery—not too close to make the task ridiculously easy or too far away to make it impossible. They set moderately difficult but potentially achievable goals. I’ve determined, based on our experience, that achievable goals are those with a 70 to 80 percent likelihood of success. You can read more from McClelland’s theory here. Another characteristic of achievement-motivated people is that they seem to be more concerned with personal achievement than with the rewards of success. They do not reject rewards, but the rewards are not as essential as the accomplishment itself. They get a bigger “kick” out of winning or solving a difficult problem than they get from any money or praise they receive. 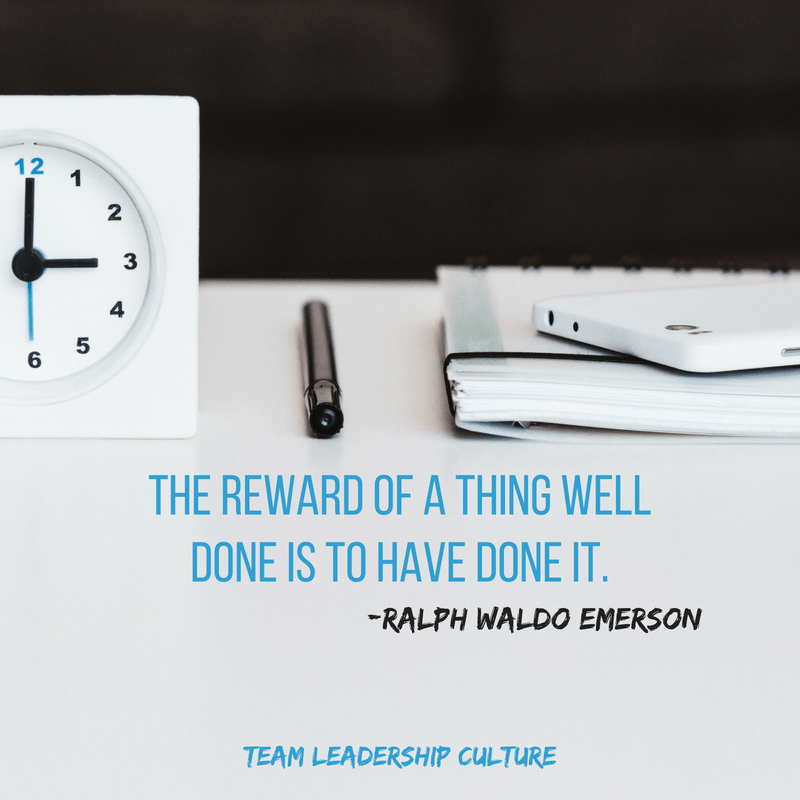 Ralph Waldo Emerson said, “The reward of a thing well done is to have done it.” Every January millions of people watch the Super Bowl. During the awards ceremony after the game, we see players with big smiles. What are they shouting about? Not about money or fame, but about the ring. Each player on the winning team gets a championship ring—a symbol of reaching the pinnacle of the sport. Nothing else compares to having that ring. It is proof of the ultimate achievement in football. That’s what motivates an achievement-oriented person. Lastly, achievement-motivated people need feedback. They seek situations in which they get concrete feedback that they define as job-relevant. In other words, they want to know the score. People with a high need for achievement get ahead because, as individuals, they are producers. They get things done. Sometimes, however, when they are promoted, when their success depends not only on their own work but on the activities of others, they may become less effective. Since they are highly job-oriented and work to their capacity, they tend to expect others to do the same. As a result, they may lack the interpersonal skills (I refer to this as the encouragement or humility leadership style) and patience necessary for being effective managers of people who are not as achievement-motivated. People do not like to be put in boxes, and just as important, people do not like to be in the dark, outside the door where company values and vision are shaped. People are less energized and tend to drift when they are unsure of how they should be operating within an organization. People need to see their leaders’ commitment to values, and they want a part in helping to shape their organization’s core values and vision. So how do you show this? There are five steps to helping your company and your team stand for something greater and this week, we’re digging into step 5. Standing for something greater often exacts a significant price. Senator John McCain, speaking at the 1988 Republican National Convention, told the story about a special soldier whom he met while a prisoner of war in Vietnam. McCain spent over five years imprisoned by the North Vietnamese in what was called the “Hanoi Hilton.” In the first few years of his imprisonment, McCain and the other soldiers were kept in isolation. Then in 1971 the North Vietnamese put the prisoners in more open quarters with up to forty men in a room. One of the men in Senator McCain’s cell was Mike Christian. Mike was from the rural south and had joined the navy when he was seventeen. Eventually he had become a pilot and, after being shot down in 1967, was captured and imprisoned. As the prison rules eased, the men were allowed to receive packages from home. McCain stated, “In some of these packages were handkerchiefs, scarves and other items of clothing.” The prisoners’ uniforms were basic blue, and Mike Christian took some white and red cloth from the gifts and fashioned an American flag inside his shirt. Mike’s shirt became a symbol for the imprisoned Americans. Every day, after lunch, they would put Mike’s shirt on the wall and recite the Pledge of Allegiance. You can imagine that, for these men, this was an emotional and significant daily event. One day the Vietnamese found Mike Christian’s homemade flag. They destroyed it and later that evening, as an example to the other prisoners, beat Mike for over two hours. Lt. Commander Mike Christian is a real-life example of how leaders can shift their focus away from themselves, their power, and their potential to something (or someone) outside themselves, seeking the greater good for others as well as for the organization and the community at large. Standing for something greater moves leaders past their own interests to something that benefits everyone. It takes controlled strength not to fall back to the shortsightedness of doing things only for selfish gain or selfish reasons. In a POW camp Mike Christian was willing to stand for a symbol of the country he loved. His actions inspired others to stand strong as well and not to surrender hope. That’s the power of commitment to something greater. So how do you show this? There are five steps to helping your company and your team stand for something greater and this week, we’re digging into step 4. Gardner notes that concentrating on these aspects will direct you to higher purposes. They take the focus off of you and place it on the people around you. They enable you to let go of the things in life that do not matter and instead make time and create energy for the things that do matter: the welfare of others, the organization, and the larger community. When working to plant a vision and sense of a greater cause in a team, you must first ensure that values are understood and owned. This is accomplished initially by cataloging the personal values of individual team members. 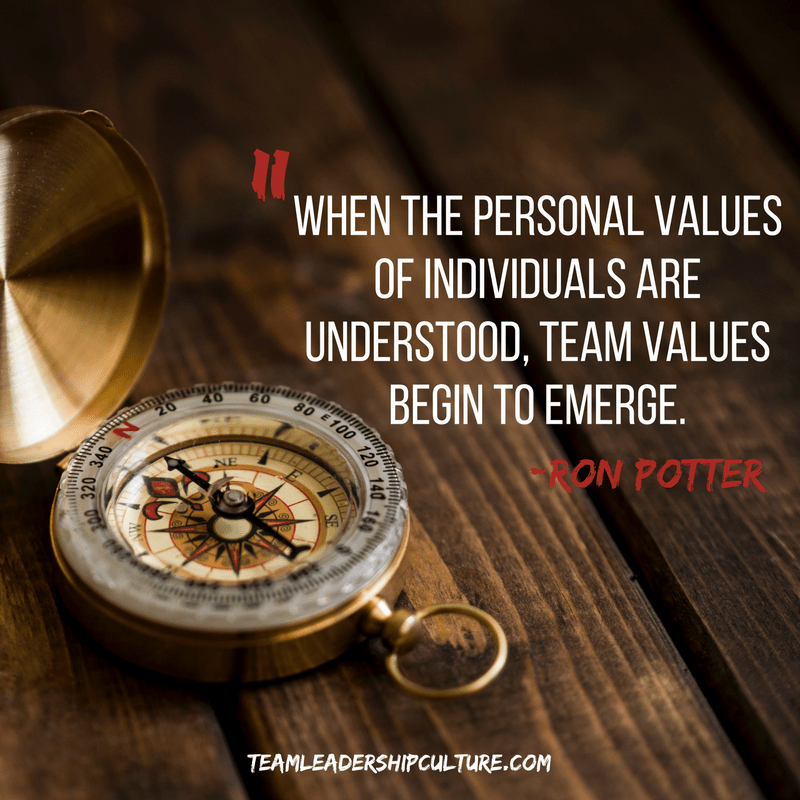 When the personal values of individuals are understood, team values begin to emerge. So how do you show this? There are five steps to helping your company and your team stand for something greater and this week, we’re digging into step 2. While attending seminary, Martin Luther King Jr. read extensively in the areas of history, philosophy, and religion. With each book and each discipline, he questioned what he truly believed. As he read, learned, and reflected, he molded his values and vision on the anvil of discovery. This kind of personal searching is essential for every good leader. How can you clarify values, set vision, get beyond yourself, and stand for something greater if you have not participated in the intense, personal struggle to clarify, define, and establish who you are as a person? As a leader you will be asked many questions—economic, moral, and personal. How will you know what answers to give unless you have wrestled with some of the questions? How can you shape who you are without struggling with opposing values? The result of this struggle is personal integrity and credibility. Abraham Lincoln did not just “discover” his vision for America. As a young man, he saw the ravages of poverty and exclusion. As a lawyer, he defended the rights of people. As a father, he witnessed the death of two of his children. Lincoln struggled and fought with others as well as himself, and the result was a clearer picture of his personal values and a more defined vision. The result was also a president of high integrity and purpose. The leader who understands this and who responsibly presents a great cause to followers will turn a key in many hearts and unlock vast reservoirs of creativity and productivity. But just having personal commitment to a great cause is not enough for a leader. The vision for “something beyond” must be successfully transferred to the entire group, whether it be a small staff, a department, an entire organization, a state, or a nation.People are less energized and tend to drift when they are unsure of how they should be operating within an organization. People need to see their leaders’ commitment to values, and they want a part in helping to shape their organization’s core values and vision. Leaders who form corporate values, vision, and strategy in a vacuum or just in the executive suite lack the humility and commitment to move beyond themselves and include others who have solid ideas and opinions on what should define the company’s values. When leaders don’t talk about the company’s values and vision, people feel alienated and less energized. The following story illustrates the steps that one dynamic business leader took to win support for a great cause in his organization. After agreeing with his executive team on a set of core values, the CEO of this large firm got so interested in employee input on team values that he asked a consulting team to go to six different locations and determine the values of the two hundred to three hundred employees at each site. In team settings, it is often easy to agree on the first five to seven values; however, discussions get very interesting as teams round out the full list of values that will govern their individual behavior and business practices. Using an audience response system, the consultants asked each table-grouping of employees to discuss and develop team values. Next, they worked on “room” values. Upon completion of the six-city tour, the employee list of values was compared to the executive list. The two lists were surprisingly similar. After some final discussions and some tweaking of the list by the company’s leaders, a final list of values was issued. Although the operative values came down from on high, every employee who had participated had a personal stake in and loyalty to the list. The company-wide discussion had galvanized the organization not just to a set of core values but to a gigantic something-greater goal pursued by the company’s CEO. This company desperately needed to reverse a quarter-century of declining market share for its products. The CEO used this exercise in determining values as well as a great amount of day-to-day, hands-on involvement with key personnel to successfully “sell” his organization on the dream of a huge reversal of the company’s fortunes. The entire company bought into the dream and now shared his passion for something greater. Commitment involves rising above our own needs and perspectives to grab hold of a greater good. Standing for something greater relates directly to the values and vision of an organization. A leader’s stance for something greater not only meets his or her personal desires, but it strongly resonates with peers, direct-reports, and others who have a stake in the organization. Just having personal commitment to a great cause is not enough for a leader. The vision for “something beyond” must be successfully transferred to the entire group, whether it be a small staff, a department, an entire organization, a state, or a nation. Many companies start with the right motivation. They talk about their values and they create high aspirations, but these same companies don’t really live by them. People do not like to be put in boxes, and just as important, people do not like to be in the dark, outside the door where company values and vision are shaped. People are less energized and tend to drift when they are unsure of how they should be operating within an organization. People need to see their leaders’ commitment to values, and they want a part in helping to shape their organization’s core values and vision.